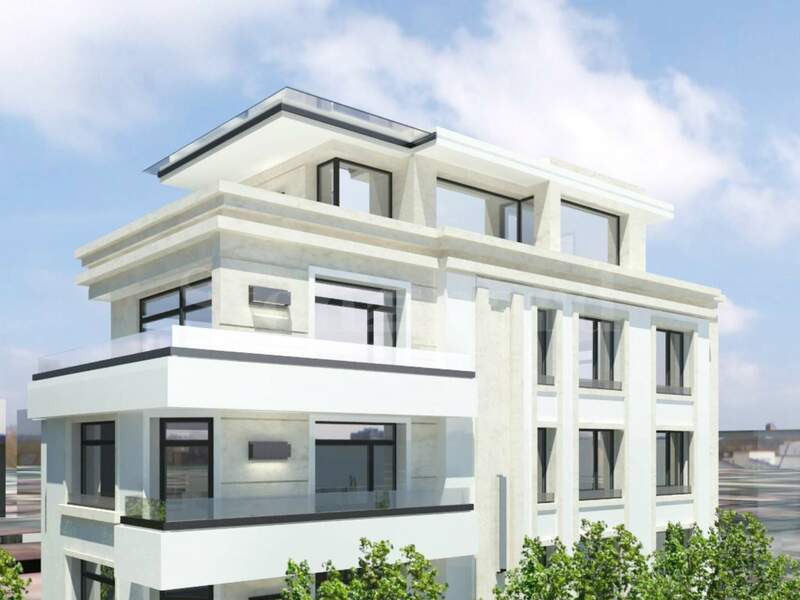 New 3-bedroom apartments and 2-level penthouse with 4 bedrooms, a shop on the ground floor and parking spaces are offered for sale in a modern building with Act 16 expected in December 2017. The building boasts an exceptional location in the top center of Sofia near the National Palace of Culture (300 m) and the garden Bukata (50 m). There is easy access to the Medical University (870 m), metro station (450 m), Russian monument (600 m), school (270 m), Lumiere cinema (450 m), supermarket, administrative building, Alexandrovksa Hospital. The 6-storey brick building with an area of ​​1049.83 sq.m. will be finished with high quality materials and modern construction technologies. 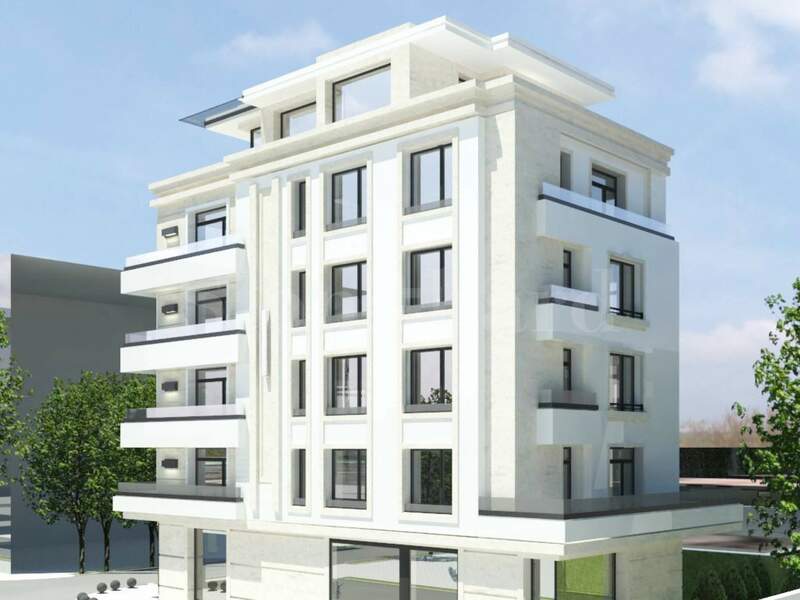 The apartments are offered for sale with unfinished interior, aluminium windows, external insulation. The construction has been started in January 2016 and expected to be completed in December 2017. Walls of bathrooms and WC – lime-cement plaster. Armored outside door, without interior doors. Installed wiring for telephone and cable TV and a telephone and cable TV sockets. Installed wiring for cable and Internet and sockets for Internet. Installed intercom system, combined with a bell and a button for controlling the electric locks of the front door of the building. - Installed Heating and Ventilating - under project – with installed vertical pipes and horizontal network in the basements and on the floors, with installed radiators and apartment collectors. Aluminum system Reynears with central gasket and termal 32mm. triple glazing 44mm SGG Planitherm 4S /Saint-Gobain France/, glass 4mm., Argon, К-glass 4mm. Entrances and corridors in common areas of the building: marble.